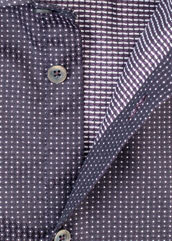 Gowri started making made-to-measure shirts in 1996 as one of the company’s first products. Since then, we have made thousands of made-to-measure shirts to many happy customers in Great Britain, Scandinavia and Estonia. Gowri’s made-to-measure shirts are hand-cut one by one according to your precise measurements. 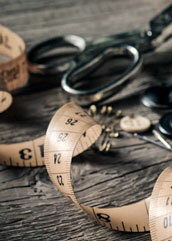 The sewing is made from start to end by a single skillful seamstress and by using single-needle sewing machine. 1. Fabric — pick your favorite fabric from more than 200 high quality 2-ply cotton fabrics. 2. 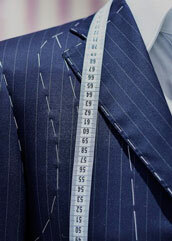 Measurements — we make the shirt by taking precise measurements from you. If you like, you can bring your current best shirt and we will take the measurements from there. 3. 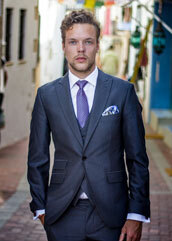 Design — choose regular, slim or super slim fit, collar style, cuffs and design of the front of the shirt. You can make your shirt even more personalized by adding a hand-embroidered monogram. Waiting period is 1-2 weeks. 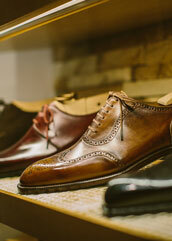 See our made-to-measure shirt gift certificate.